They are extremely aggressive, viscously charging directly towards, and pursuing soldiers. Running up to 25 mph whilst making a screaming sound. They can grow to be as large as dinner plates. They are able to jump several feet in the air. They are venomous and can anesthetize their prey while they chow down unnoticed. They eat, live in, or lay their eggs in the bellies of camels. Unsurprisingly, most of this is nonsense fueled by exaggeration, misunderstanding, and wild speculation. Let’s dispel these myths and learn about the interesting reality of Solifugid biology. Alternately referred to as sun spiders, wind scorpions, and camel spiders; members of Solifugae are neither spiders, nor scorpions, belonging to a distinct evolutionary lineage within the arachnids. 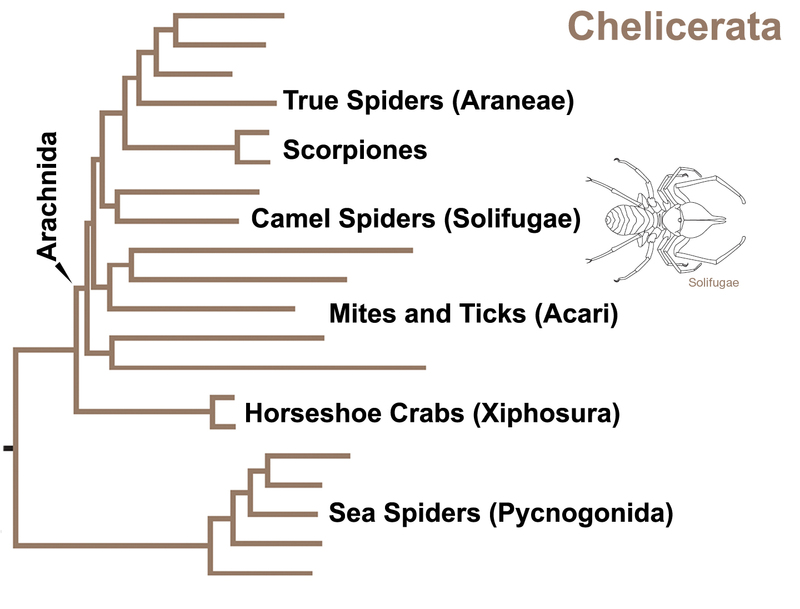 Chelicerate phylogeny adapted from Regier et al., 2010. Most Solifugids are highly specialized for survival in arid habitats and they are found in deserts around the world, excluding Australia. They are mostly nocturnal to avoid the heat, but some species are diurnal. Shade is crucial to the survival of arid solifugids that are active during the day. 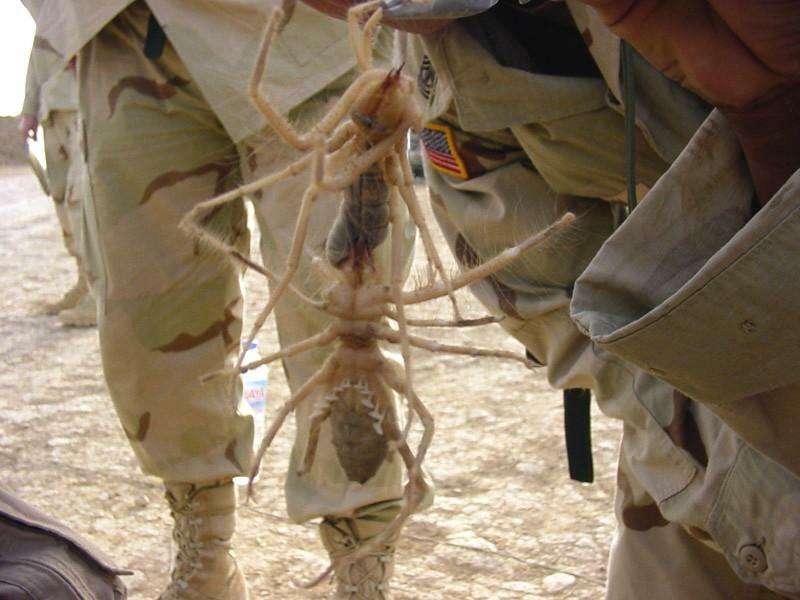 The reports of camel spiders charging and pursuing soldiers are likely derived from the animals attempting to take refuge from the sun in their shadows. As far as the shrieking sound that they allegedly make during their charges: Perhaps the sound actually comes from the men, who later try to save face in front of their buddies by attributing the noise to the arachnid. I can relate. 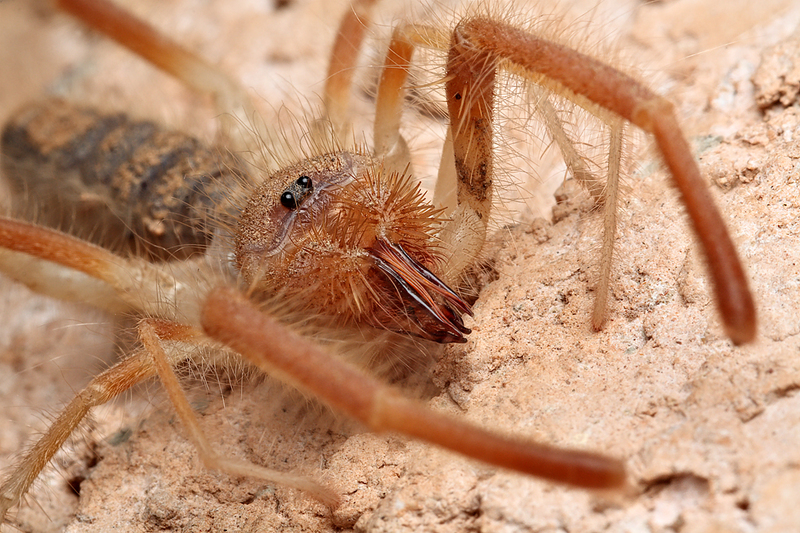 One of the most obvious physical characteristics of solifugids are their massively enlarged chelicerae. These appendages give the impression of tremendously engorged, venom-laden fangs. However, their size is actually a compensation for a lack of venom (There is a single Indian species, Rhagodes nigrocinctus that may possess venom glands, but this has not been well confirmed and there is no known injection mechanism). Each of the chelicerae are composed of two segments forming powerful pincers. These pincers are used to grasp and tare apart their prey; which includes other arthropods, lizards, snakes, and possibly small mammals. Solifugids do not feed on animals larger than themselves, and they do not munch away on humans or camels, unnoticed through the use of anesthetic venom. If these guys take a chomp out of you, you will notice. However, they are not particularly aggressive to people unless harassed or backed into a corner. Unlike spiders and scorpions, solifugids superficially appear to possess ten legs. However, the largest, foremost ‘legs’ are actually enlarged, antennae-like, sensory appendages, called pedipalps. The pedipalps are also used for climbing and prey capture. Galeodes arabs, redrawn by Richard Fox, from Savory, 1977. Additionally, the first set of true legs are also used as accessory sensory appendages, leaving only the back three sets of legs for locomotion. Solifugids are nonetheless capable of quick bursts of speed (up to 53 cm/sec or 1.2 mph) when attacking prey or darting for cover. However, the claims that they can travel at 25 mph and keep pace with Humvees are obvious exaggerations. Now, to address the ‘size of dinner plates’ claim about solifugids, which is reinforced by the popular image at the top of the article: Amazingly, for these sorts of meme inducing images, I was actually able to track down the photo’s origin. According to Paula Cushing, Department Chair and Curator of Invertebrate Zoology at the Denver Museum of Nature and Science, the photo was taken by a serviceman and amateur photographer named John Sellers. He photographed the two animals, one violently clamped onto the others abdomen, following a gladiatorial battle between the two solifugids staged by the soldiers (an ugly practice that has gone on at least since British troops were stationed in Egypt during the first World War, and continues today in Youtube videos). Though I was unable to determine an exact species ID, the pictured solifugids are members of the Galeodes genus (perhaps G. granti or G. arabs?). They are about 10 cm in total length, residing at the upper end of the solifugid size spectrum, which ranges from 1 cm to 10 cm in body length. The largest example of a solifugid I could dig up is this Galeodes fumigatus, which appears to be about 11 cm or more in body length. So these animals can reach a menacing size, but nothing close to a dinner plate, or the size suggested by the tricky perspective of the camel-spider meme photo. Some solifugids can be large and creepy-looking, to be sure, but they are not the deadly, bloodthirsty, lightning-fast, venom-dripping, monsters that popular culture has portrayed them as. If you can redirect fear and revulsion into fascination, and look beyond the unsettling facades of monstrous arthropods, you may find a vibrant wealth of astonishing realities. Did Phronima inspire the alien queen? Thanks to Paula Cushing and Mark Harvey for additional assistance. Punzo, F. 1998. The Biology of Camel Spiders. Kluwer Academic Publishers, Norwell, MA, USA. Aruchami, M & Rajulu, GS. 1978. An investigation on the poison glands and the nature of the venom of Rhagodes nigrocinctus (Solifugae: Arachnida). Nat. Acad. Sci. Letters (India) 1: 191–192. Isopod crustaceans exhibit a wide variety of morphologies and lifestyles. For instance, the common pill bug or woodlouse, found under any log in North America, is an isopod. These isopods, of the suborder Oniscidea, are the most terrestrially adapted of the crustaceans (unless you count insects, which you probably should). 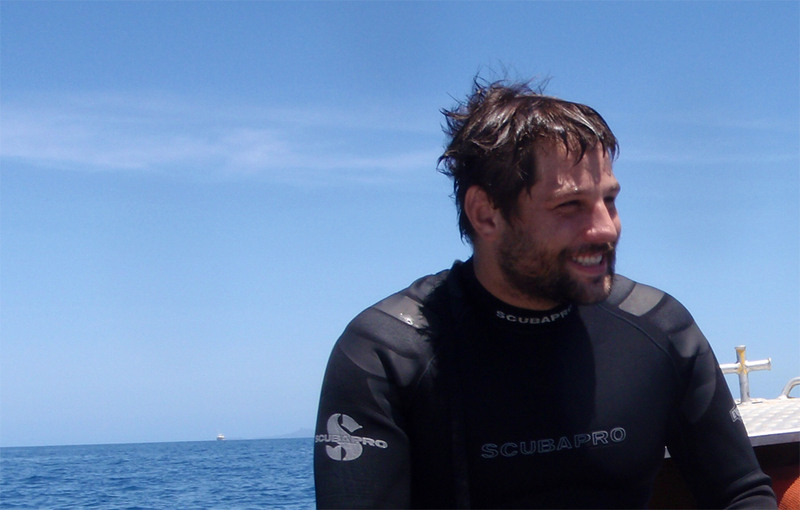 However, it is in aquatic environments that you see the true breadth of isopod diversity. I talked about two good examples in a previous post: Serolid isopods have flattened, trilobite-like bodies and scavenge on marine sediment; and Antarcturid isopods are narrow, with long forelimbs for catching prey from the water column. Other isopod suborders have developed parasitic lifestyles. 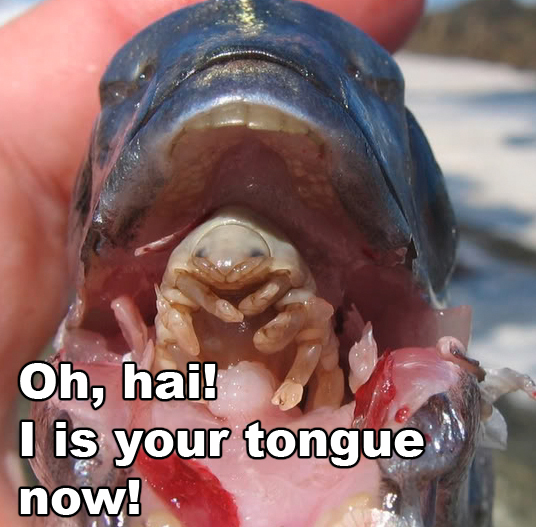 Many aquatic isopods are parasites that live either on the surface or inside their hosts. Some, the Epicarids for example, display morphological modifications characteristic of parasites; including reduction of appendages and sensory organs as well as a loss of rigid segmentation. Also, the mouthparts are sometimes specialized into a suction apparatus, complete with piercing stylets, used for extracting fluid from their hosts. These isopods parasitize copepods as larvae and then decapods as adults; living inside the carapace or gill chambers of crabs and shrimp. Other isopods parasitize fish, attaching to the body or gill chamber and feeding on the scales, flesh, or blood of the animal. Some of these isopods attack and kill fish in large swarms. Meet Cymothoa exigua, a Cymothoid isopod. Most Cymothids are exoparasites that feed on the flesh of fish. However this lifestyle has the disadvantages of exposing the isopod to predation and requiring it to migrate from fish to fish. C. exigua solves these problems by doing something disturbing. C. exigua parasitizes rose spotted snappers. It enters the fish through the gills and lodges itself in the buccal cavity at the back of the mouth. There it severs blood vessels leading to the fish’s tongue, causing the tongue to atrophy and degenerate. The isopod then uses its hook like pereopods to attach to the tongue nub, effectively and functionally replacing the snapper’s tongue. There it stays, feeding on blood, mucus, and stray pieces of whatever the fish is eating for the rest of its life. While the script and plot of this movie appear to be on par with Avatar, King Crab Attack’s special effects clearly blow James Cameron’s opus out of the water! There is another, equally amusing, trailer for King Crab Attack here, and a satirical video in the same vein, from The Onion, here. The satire news magazine, The Onion, has an article up that is both amusing and depressing. This piece hits an unfortunate nail on the head. I’ve mentioned before, my contempt for the current state of science programming in the US. I’ll admit that the Science Channel is still the best of the “educational” TV channels, but that isn’t saying much; the other networks seem to continuously rotate between Monster Quest, Paranormal Investigators, and UFO Hunters. You can tell that all of these channels are under constant pressure to make their shows more extreme and appealing to the lowest common majority of society. 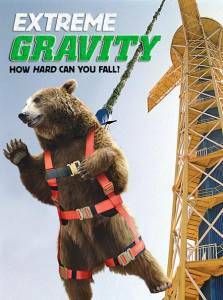 I am sure that there are lots of hard working people at the Science Channel who want to give people good, solid science programming, but their efforts are constantly challenged by the marketing department. If we won’t watch good science, they’re not gonna’ show any. This exemplifies the modern problems with science communications. Somewhere there is a disconnect between researchers and the general public; forcing exciting science to be watered down to the point of inanity. Who is at fault? The scientists, the media, or the average Joe? Samurai Crabs: Transmogrified Japanese warriors, the product of artificial selection, or pareidolia? April of 1185 was the end of the line for the Heike Empire in Japan. Their rival clan, the Genji, swept across the southern Inland Sea of Japan and annihilated the final, desperate armada of the Heike at the battle of Dan-no-ura. The defeated Heike child-emperor and his samurai, refusing to surrender, committed suicide by throwing themselves from their boats to drown. The battle of Dan-no-ura represented a massive cultural and political shift in Japanese history. It was the end of the imperial Age of Courtiers, and the beginning of the Feudal Era of Japan, lasting from 1185 to 1868. During this time, the majority of Japan was ruled by a powerful military dictator, the shogun, and his samurai warriors. Naturally, such geopolitical upheaval has strongly ingrained itself in the culture of Japan, and folklore stemming from the battle of Dan-no-ura survives today. 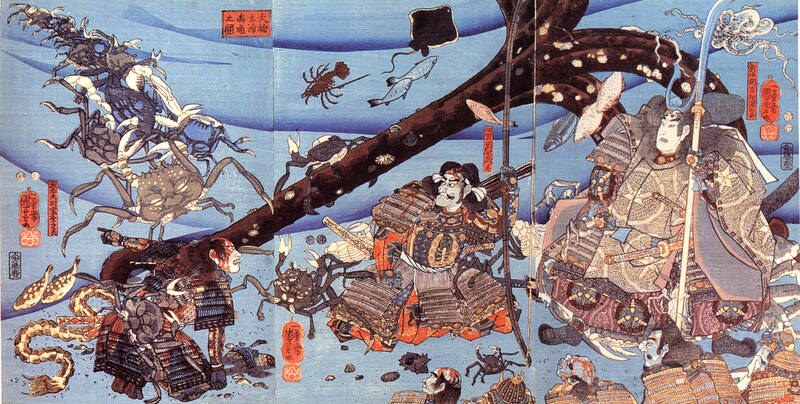 Popular legend alleges that, following the battle Dan-no-ura, the souls of drowning Heike samurai warriors were transformed into crabs. These crabs are distinguished by having the faces of the fallen samurai on their backs. To this day the Heike crabs roam the depths of the oceans around Japan, searching for the lost heirlooms of their empire. The ghost of the Heike general Taira no Tomomori (bottom left) at the bottom of the ocean with the anchor he used to drown himself following defeat at Dan-no-ura. He is joined by Heike crabs bearing the faces and souls of his comrades. By artist Utagawa Kuniyoshi, 17th century. Click to embiggen. Samurai crab, H. japonica and stylized Kabuki samurai face (inset). Click to embiggen.